On Monday, I introduced my students to four of these books as they will choose from them for the book clubs they will be doing in the coming weeks: Violence Girl by Alice Bag, Life by the Cup by Zhena Muzyka, Always Running by Luis Rodriguez and Wild by Cheryl Strayed. Because my class is smaller and they don’t seem that interested in music, I deleted Tony Fletcher’s book Boy About Town. This semester I also replaced The Things They Carried by Tim O’Brien with Always Running because Always Running is Ventura College’s One Book One Campus book this year while Things was last year’s. Read more and watch trailers here. Always Running is a new book for me, and like most of the others on the list, I read it aloud to my husband before I taught it to my students. While it is graphic, it is that graphicness, that attention to sensuous detail as well as his attention to language as befits the poet laureate of Los Angeles while makes the book so compelling. 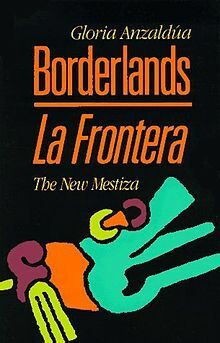 Over and over my husband and I were struck by how much violence the author experienced growing up, and how hard it is to leave the gang life behind; I would argue that “la vida loca” is a harder addiction to break than heroin. We are also excited that Luis Rodriguez will be visiting Ventura College on Weds. April 22 (Earth Day) from 6-8pm. 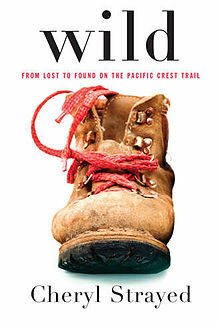 It is possible that we may also have a visit to campus from authors Zhena Muzyka and Alice Bag as well as a showing of the film Wild (read a review of the film here). On my invitation, Zhena visited campus last fall and held a lovely tea ceremony while Alice Bag (and Tony Fletcher) performed and read on Earth Day last spring. In addition to reading and responding to the texts in their book clubs, each book club will present their book to the rest of the class trying to convince them to read it. Each group will create a blog to use in their presentation, and they will have the option of making a trailer for their books. Antena is a language justice and language experimentation collaborative. Antena is a language justice collaborative founded in 2010 by Jen Hofer and John Pluecker, both of whom are writers, artists, literary translators, bookmakers and activist interpreters. In 2014, Antena Los Ángeles was founded as the first local branch of Antena, with the participation of Miguel Morales Cruz and Ana Paula Noguez Mercado. Antena Los Ángeles is specifically focused on building multilingual spaces locally in Southern California. Antena views our aesthetic practice as part and parcel of our language justice work. Antena activates links between social justice work and artistic practice by exploring how critical views on language can help us to reimagine and rearticulate the worlds we inhabit. Antena works with organizations, communities and individuals to create dynamic, well-functioning multilingual spaces for small and large groups of people to foster open communication and attentive listening across languages and cultures. We primarily work with Spanish and English but have experience coordinating more diverse language combinations. 6. whether who they work with is more important than what they read. Which books have you read? Which are now are your list? Reblogged this on whisper down the write alley.